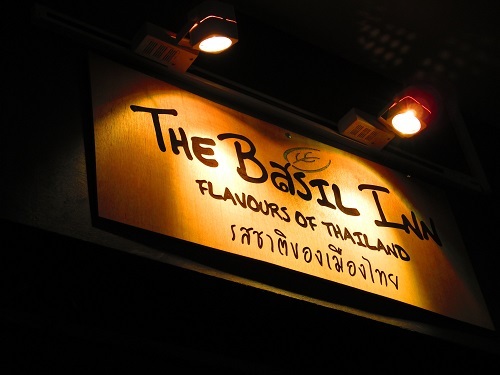 Located at a corner in the Downtown East, The Basil Inn serves Thai food in an authentic Thai way and at the affordable price, the food may be a little too authentic that we actually ran into hesitation of writing a review. Puzzle? 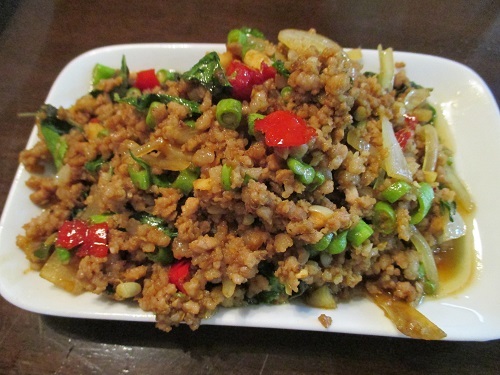 Honestly, we love Thai food or sometime even crazy about it, but somehow, owning to the simplicity of the dishes, The Basil Inn cleverly goes with the theme by presenting the dishes in an ordinary manner that is somehow prevalent among the public, however, it is also the ordinary presentation that makes The Basil Inn can’t really stands out among the best. 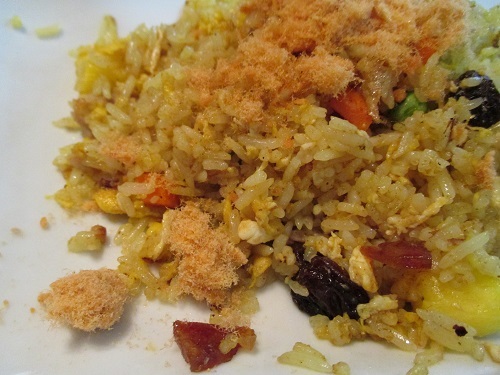 After all, it is the choice between a home cook meal and a subtle feast, which has its own beauty lies within them. 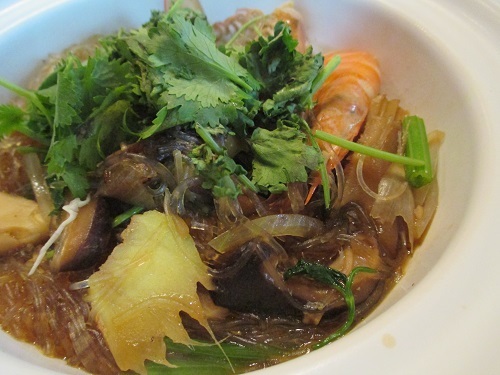 The dinner was lavished that we had Tom Yum soup, honey chicken, pineapples rice, mango salads, Green curry chicken, Claypot seafood bee hoon, egg omelette, Kang Kong and minced pork with Basil leaf that filled up the whole table. All the portions served were small, much agreed with the affordable price tag the restaurant charged. 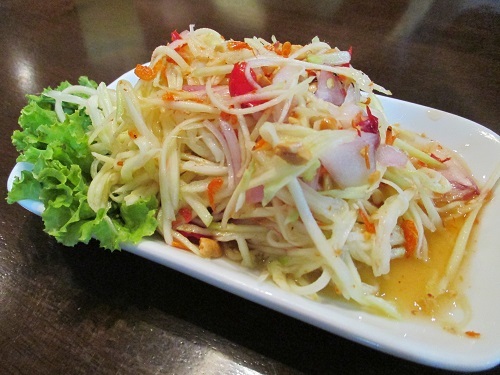 The mango salad was well seasoned and brought together a good harmony of sweet, sour and spicy. 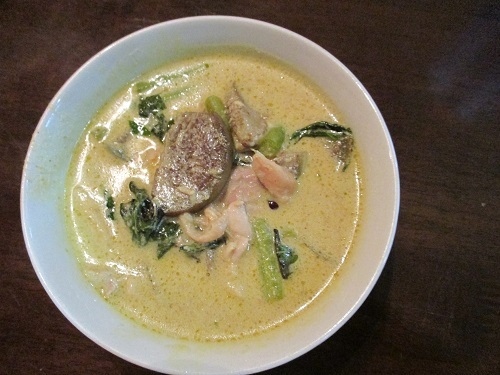 Green curry chicken was tasted close to home cooked Thai original and flavourful. 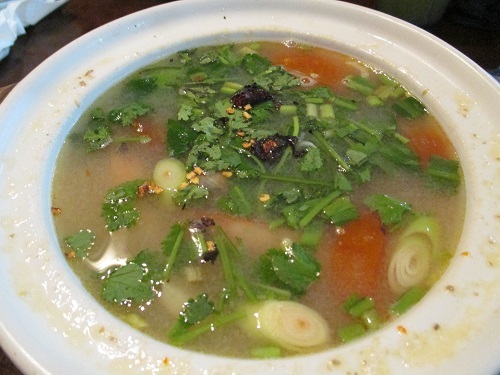 Tom Yum soup is a must for my family when eating at any of the Thai restaurant, however, the Tom Yum soup at The Basil Inn was just ordinary that not going to leave you a good or bad impression. 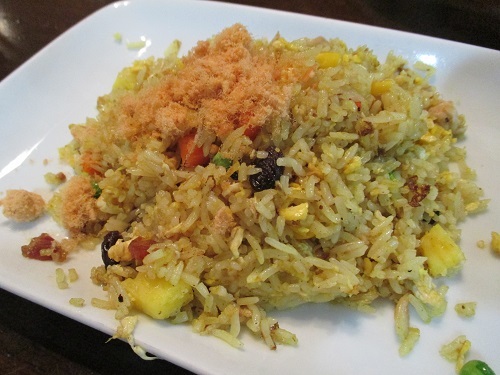 Supposing the Thai food trademark, the Pineapple rice was rather disappointing, the rice look and taste more like local fried rice and we were wondering if this was some kind of pineapple rice from the secluded part of Thailand that we had just came across. 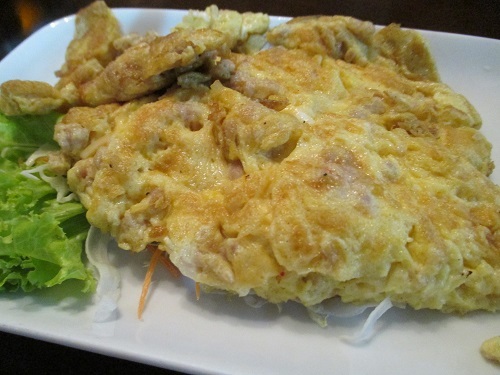 The honey chicken, claypot bee hoon, egg omelette, Garlic Kang Kong and minced pork with Basil leaf were average. It was ordinary and nothing for us to commend or criticise about. 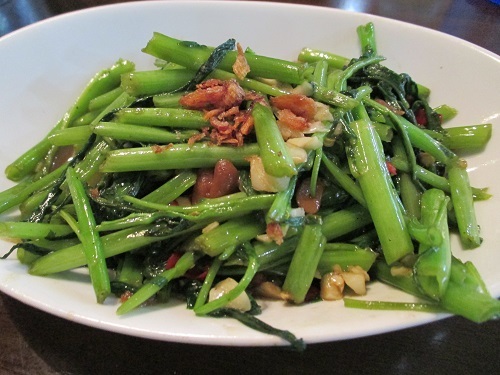 Sometime, a simple and ordinary meal at The Basil Inn may not be a bad choice too.